chocolate | Andrea Works . . .
Chocolate Without Sugar = Paleo? Sure! . . . ? 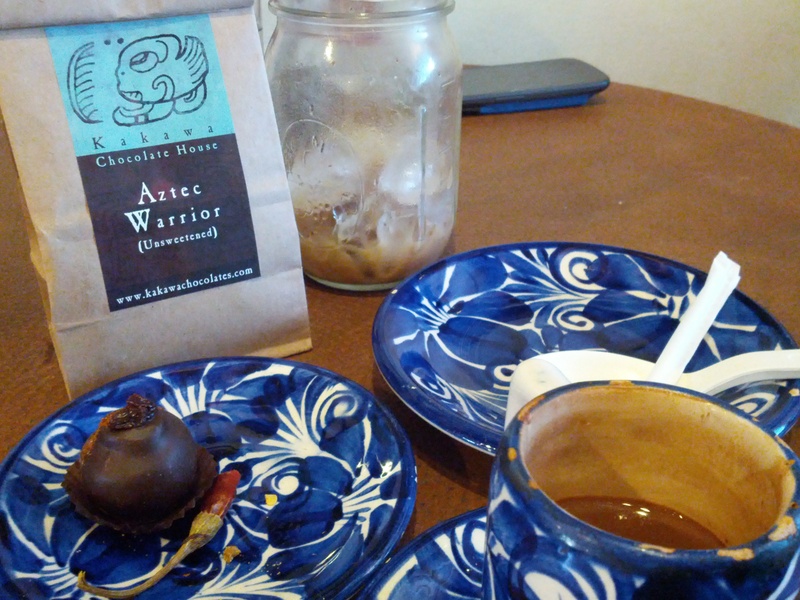 Yesterday, the final day of the Ancestral Health Symposium in Atlanta, I was in Santa Fe, former stomping ground of the Robb Wolf clan, sipping on a tiny cup of ridiculously good Aztec style drinking chocolate. The place is called Kakawa and it has seen a handful of owners in the last 15 years but never has the quality of those cups of chocolate declined. At least not that I can tell. For those more keen on a bit of sweetness, they offer everything from sustainably sourced chocolate bars to handmade truffles with goat milk, rosemary, chile, and even local cherries. Not all in the same truffle. Usually. On this visit I kept to the drinking chocolate and a truffle, forgoeing the very good housemade ice cream and a gluten-free, coconut-sugar-sweetened brownie that nearly tackled me and snuck into my paws. If and when the Ancestral Health Symposium decides to alight on Santa Fe, we’ll be ready with treats like this, as well as a vibrant farm scene and some pretty awesome locally raised pastured meats. Santa Fe is ahead of the curve for a town it’s size, and that’s good for all of us.